EA's Gamescom press conference is due to start at 9am BST / 1am PDT. It's the big one. 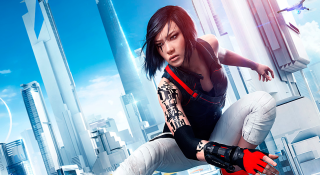 Mirror's Edge: Catalyst and Battlefront have been teased in the week leading up to the conference, and the nocturnal Need For Speed reboot will surely get a spin in the spotlight ahead of its November release. Besides Battlefront, there's a disturbing lack of Star Wars around considering the imminent silver screen reboot. Perhaps we'll see a little more of the Old Republic expansion. And what of Bioware? We enjoyed the briefest of Mass Effect: Andromeda teasers at E3. Perhaps they were holding back for a bigger Gamescom reveal.